If you are looking for emergency heating services in the New York City area, you have come to the right place! Here at Star Cities Plumbing & Heating, we make it our business to give you the most honest and professional service to make sure your family is warm all winter long. We are available to help you with all of your emergency heating repair and installation needs. Whether you need boiler maintenance or you want to install a new one, we are here to offer the heating services and products you need for a competitive price. Here at Star Cities Plumbing & Heating, affordability is never synonymous with low standards, and we make sure our Brooklyn and Manhattan customers receive the highest quality New York City heating repair and installation services possible. If you currently don’t have reliable heat and you need dependable heating services fast, Star Cities Plumbing & Heating is the company you can trust to take care of your heating needs quickly and efficiently. We will do everything we can to respond quickly to your phone call and provide affordable furnace repair as quickly as possible. When you give us a call for heating or plumbing services, we’ll do all we can to respond as quickly as possible and take care of whatever problem you may be having. You can count on us to take care of your heater repair with minimal disruption to your daily routine, and we’ll show your home the respect it deserves by completely cleaning our work area once we are done. 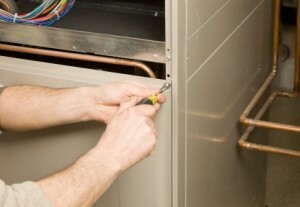 If you want to have confidence your furnace or boiler is in good hands, make sure you give us a call. You deserve to have your heater installed or repaired by a company that values professionalism and is experienced with New York City heating. Here at Star Cities Plumbing & Heating we vow to give you the level of professionalism and courtesy we would expect for our own families. Contact Star Cities Plumbing & Heating and you will be able to rest assured that your heating services or heater repair is in good hands. We not only have the tools and equipment needed to take care of your job, we also have the know-how. All of our technicians are passionate about providing the very best services available, and we will do everything we can to make sure you are 100 percent satisfied. Don’t hesitate to get in touch with us by calling 800-547-1422 or contacting us online, whether you need heater repair or any of our other New York City heating services.